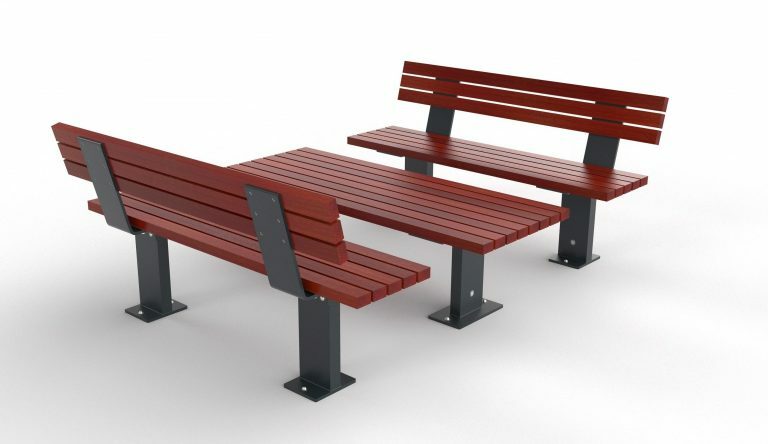 'PARKLINE' street furniture and park furniture - Coffee Table Setting with one coffee table and two park benches with back rests. Powder coated aluminium frames. Can be delivered 'flat-packed' if preferred, for simple assembly on site - 11 components.